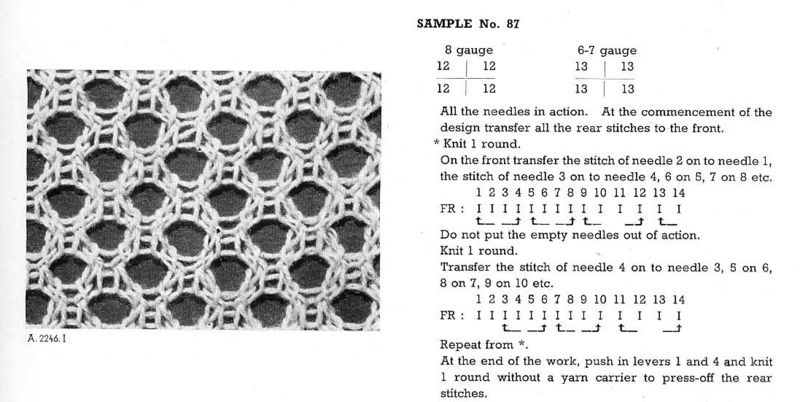 I became curious as to how to duplicate it, decided to use needle selection to help track the transfers rather than counting needles by hand. 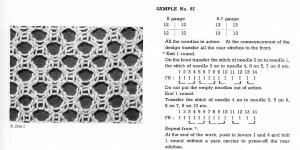 The repeat is a small one, suitable for both electronics and punchcards. 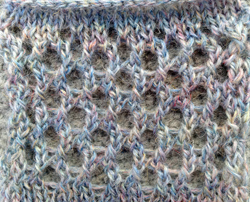 Below is its configuration on my 910, punchcard knitters may want to flip the repeat to match directions for knitting as written. 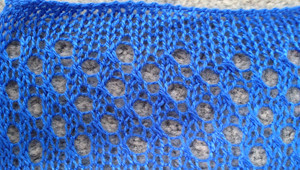 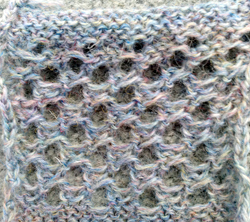 a cousin of sorts may be achieved by using the following punchcard lace repeat; the lace carriage selects and transfers for 4 passes, the knit carriage follows with 2 rows of knitting throughout; stitches are transferred, doubled up, and transferred again, so yarn choice, weight, and tension may need a lot of editing.